Jesus Christ did not actually use the word grace in His earthly ministry. Only two verses reference this word in the four gospels, and these were both spoken by others. Luke tells us the grace of God was on Jesus as a child. John taught: “For the law was given by Moses, but grace and truth came by Jesus Christ (John 1:17, King James Version of the Bible). Therefore, our understanding of the word grace comes from others. Let’s look at a few uses of the word grace in the Bible. Although these were spoken after the Savior’s death, they were spoken by His apostles. The first New Testament reference that gives real information about grace is found in Acts, chapter 15. Paul was listening to church members arguing over the issue of circumcision for gentiles. In the past, the gospel had not been taught to the gentiles, and so this was a fairly recent issue. 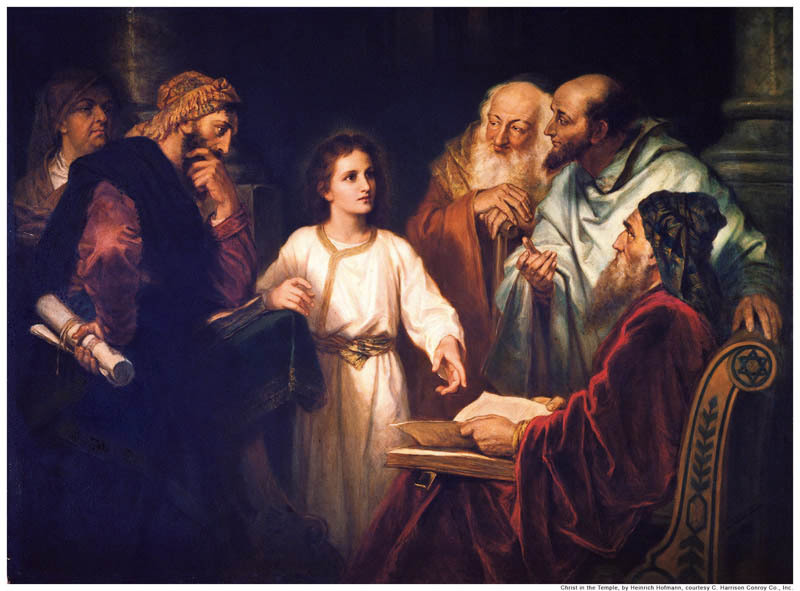 Paul, deciding he’d heard enough or perhaps was tired of the debate, stood up and reminded them they had been instructed to teach the gentiles and that the issue of circumcision had already been dealt with. Circumcision as a required practice ended with the atonement of Jesus Christ. It was through this atonement that we are saved, not through the act of circumcision, which had been intended to remind men of God’s covenant with Abraham. Therefore, we learn that grace comes through Jesus Christ, and that it is only through Him that we can be saved. Justification means to be restored to our proper relationship with God after we’ve sinned. None of us can do that on our own. Had Jesus Christ not been willing to atone for our sins, no amount of repentance, obedience, or faith would have saved us. The smallest sin would keep us out of God’s presence. Because of the atonement, we can restore our place in God’s kingdom. Grace makes this possible. Grace means we can be resurrected after our deaths. It gives us other blessings as well. We are not accountable for the choices Adam and Eve made in the Garden of Eden and when we commit a sin, we are able to repent if we choose to do so, and to be forgiven when we do. Everyone who came to earth receives grace freely, without any actions or choices on his own part. Mormons are among the few who truly believe grace is not dependent on works, not even the act of making a formal statement of acceptance of the Savior’s atonement. It is freely given to everyone. Those who accept Jesus Christ as their Savior can receive even more blessings as a result of the atonement. Grace makes them possible, but these additional blessings are not available to everyone. To receive them, a person must accept Jesus Christ as his Savior and take upon himself Christ’s name. Because taking on the name of the Savior—being known as a Christian—is such a sacred responsibility, we must honor that commitment by living the gospel out of love and faith, and not simply a desire for reward. Those who do this, who keep the commandments, can do more than merely be resurrected and live forever. They can live with God forever. The scriptures teach us that no unclean thing can dwell in heaven, and certainly, anyone thinking it through will understand that it would be inappropriate for the unrepentant to dwell with God. When we die and are resurrected, we take with us ourselves. We will still be the person we were before we died, in terms of character and personality. Heaven will be wonderful because we are with God and are not living in an earthly state, surrounded by those who do not honor truth or want to live in the manner God commanded. This scripture outlines several critical points. First, it tells us that the purpose of the Book of Mormon is to bring people to Christ and to help them believe in Him. Next it explains that we are saved by grace—after all we can do. This phrase is sometimes confusing to those who are hearing it for the first time. What does it mean? It tells us we cannot save ourselves. As mentioned early, works cannot save us. God, like any good father, expects us to do as much for ourselves as possible. In this case, this refers to keeping the commandments. However, that is not enough, and the remaining requirements are beyond our abilities to carry out. This is where grace comes in. We do what we can, and then Christ makes up the difference. He does for us what we cannot do for ourselves, which is the atonement. The remaining sections tell us the Nephites, who were the people who made this record, kept the Law of Moses, having come from Jerusalem at the time of the prophet Jeremiah, because the Savior had not yet come and atoned for them. However, they understood that the law would not save them; it was merely there to help them remember God and to prepare. Verse 26 is the key to understanding the concept of grace. We must look to Christ to have our sins forgiven, because we can’t forgive them ourselves, no matter how hard we work. Yes, we need God’s grace or enabling power of the Atonement, daily, moment by moment. Thanks for visiting.